The Lib Tech Twin Rocket is a Lost Mayhem Collaboration. Designed by legendary surf shaper Matt Biolos. Based on the original Lost Rocket, Matt wanted to create a more playful twin version of his powder board. So he came up with this mid wide twin snowboard that is stable and floaty. The C3 Camber Profile features Camber towards the nose and tail with a mild rocker in between your feet. This profiles gives you power, precision and control. The TNT base is fast gliding and holds speed even on flat areas. With 666 SQ IN Surface area you will be floating through the deepest snow. 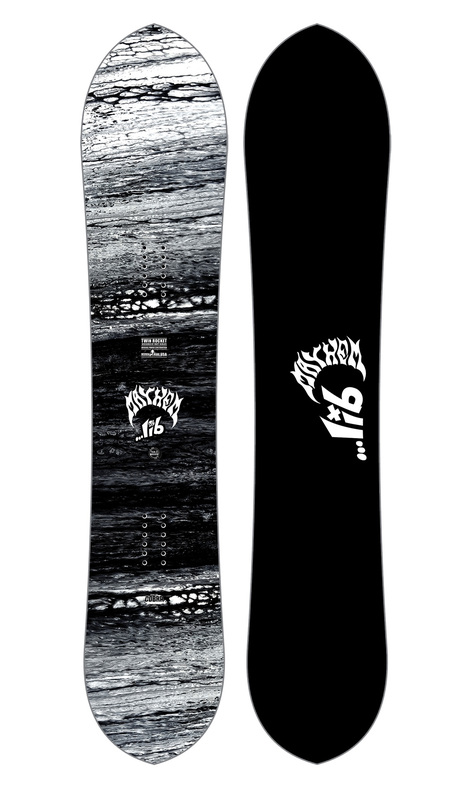 This board is suitable for Intermediate to Advanced riders that wants a playful powder board with a medium flex. Full list of features can be found below.